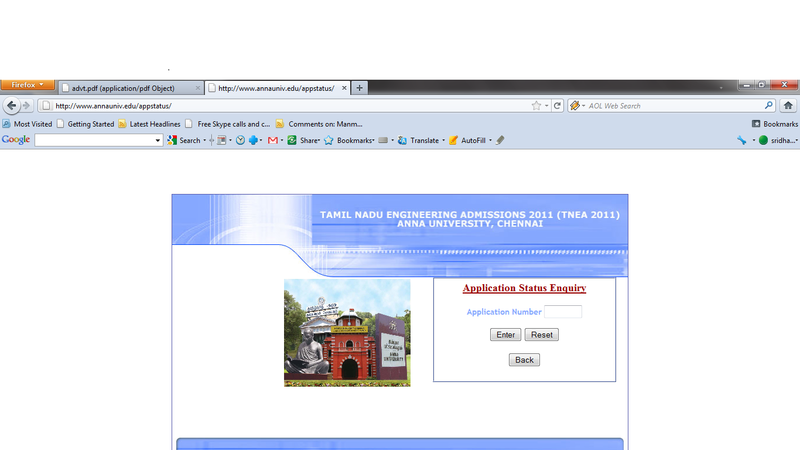 With 3rd June 2011, the last date for submission of applications for Anna University counseling is over. And the next step is preparation of rank list by Anna University. Until the rank list prepared, you can verify your application's status in the following link. For that a separate link will be given by the ACCET, Karaikudi. Just wait for few days.